The Utah Division of Wildlife Resources and the U.S. 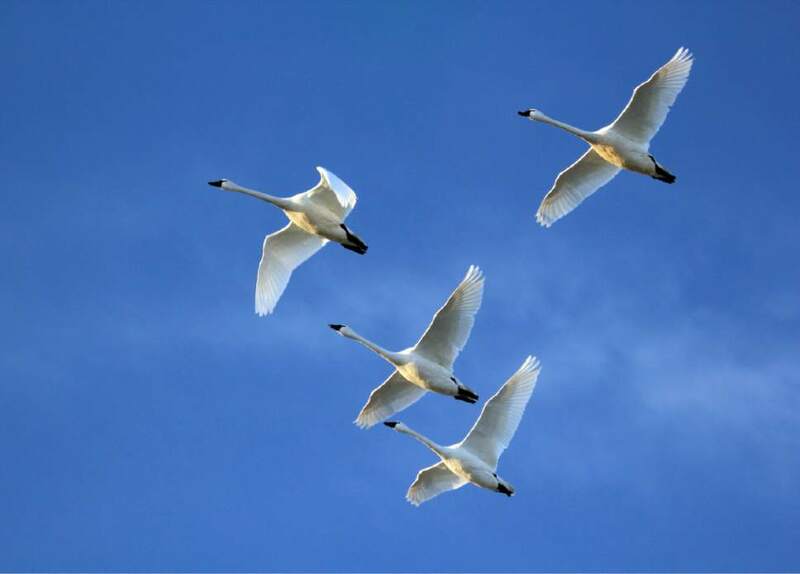 Fish and Wildlife Service will be holding events Saturday celebrating the arrival of thousands of migrating swans to the Wasatch Front. Free events are scheduled at Salt Creek, west of Corinne; Farmington Bay, west of Centerville; and the Bear River Migratory Bird Refuge, west of Brigham City. The DWR events will run from 9 a.m. to 3 p.m. and will give visitors a chance to see and hear thousands of tundra swans and maybe even a few of the more rarely seen trumpeter swans. 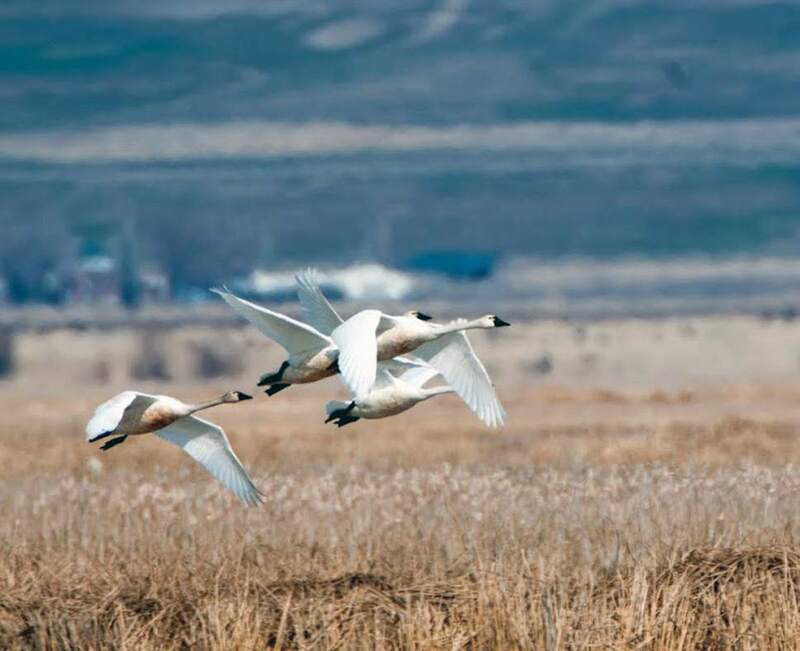 "Each year, a handful of trumpeter swans migrate through Utah with the tundra swans," said Phil Douglass, regional conservation outreach manager for the DWR. 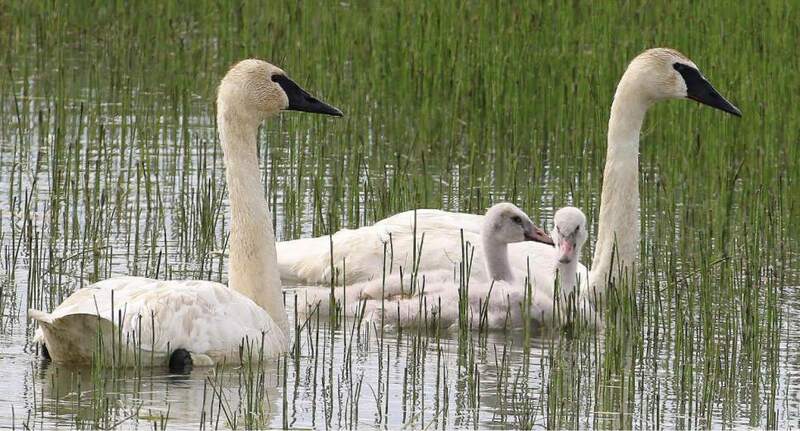 "This event gives people a chance to see and hear the differences between trumpeter and tundra swans. Both of the birds are magnificent; they&apos;re awesome to see and hear." Spotting scopes and listening devices will be available at the DWR events. Visitors are encouraged to bring their own binoculars. If you have questions about Wild Swan Day, call the DWR&apos;s northern region office at 801-476-2740. The Bear River event is 10 a.m. to 3 p.m. and will include guided refuge tours from 10 a.m. to 1 p.m. Registration for both tours is required and seats are limited. Call 435-723-5887 to reserve a spot. A camera with telephoto lens will be available for visitors on the auto tour loop. Photographer Jeff Strong will offer a free nature photography workshop at 10 a.m. Sign-up is required. Call 435-734-6426 to reserve a seat. Other parts of the event include family-friendly films, crafts and games.